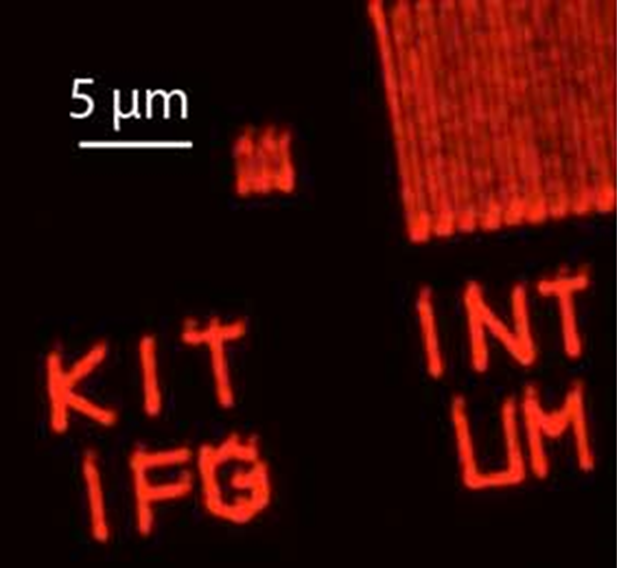 Dip Pen Nanolithography (DPN) uses the tip of an Atomic Force Microscope (AFM) to deliver molecular inks to a surface. Being a constructive (bottom-up) approach to lithography, DPN has several unique capabilities. First, it can be readily carried out using parallel tip arrays enabling both high throughput and high areal resolution. Second, since no etching or post-processing is typically required, prepatterned surfaces composed of a variety of materials can be used. 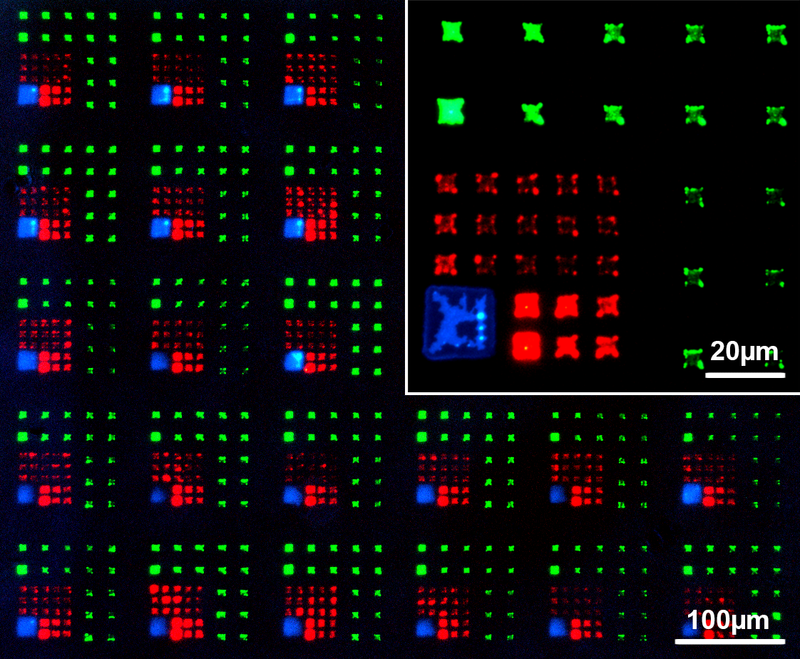 Finally, DPN is capable of integrating of multiple materials (or inks) with both high resolution and high throughput . In particular, the use of lipid-based inks developed at the Karlsruhe Institute of Technology takes advantage of these DPN aspects. DPN with lipids was used in diverse fields from sub-cellular arraying [2,3] to sensors [4,5]. The related technique of Polymer Pen Lithography (PPL) combines the strengths of microcontact printing (large area parallel printing, inexpensive stamp materials) with the advantages of DPN (pattern flexibility, multiplexing) . Phospholipid based inks can write on a variety of surfaces – metals, insulators, hydrophobic, hydrophilic, etc. Tips are typically spaced 35 µm in a 1D array or 20 x 90 µm2 in a 2D array.